For centuries, people from all corners of the world have descended upon New York to make a name for themselves and meet like minded people. The city is basically one giant trade show, making it the perfect backdrop for conventions of all kinds. From Comic Con to TED, New York has seen some great gatherings. If you want your upcoming New York trade show, conference, or similarly large event to join their ranks, you need Made By WiFi, the premier trade show internet service provider with nationwide coverage including New York, New-Jersey, San-Francisco, Los-Angeles, Chicago and Boston. Our team has over 15 years of combined experience installing and managing robust, high-end temporary Internet and WiFi services at some of the largest trade shows and events in New York and nationwide. We’ve learned a thing or two over the years and we’d like to share some wisdom with you. When researching rental options for temporary event Internet and WiFi, it is important that you understand the difference between the type of WiFi network you find in an office and the type of WiFi network needed to support the high density demands of trade shows and other temporary events. What Makes Conference / Trade Show WiFi Unique? That last bullet point doesn’t scare Made By WiFi clients because they’ve witnessed our meticulous delivery process, honed through years of hard work and field experience. Our Trade show internet rental account manager is involved in your event from start to finish. The same person you speak to during the sales phase will be on-site during your trade show WiFi network installation. Your on-site account manager will clear any miscommunication between project managers and technicians to guarantee that the service level you purchased is the same level of service you receive. We deliver 360-degree, white glove services to our valued customers. These include temporary WiFi, Internet bandwidth and on-site support as well as installation and breakdown services. We are production-friendly and require no supervision while on-site. 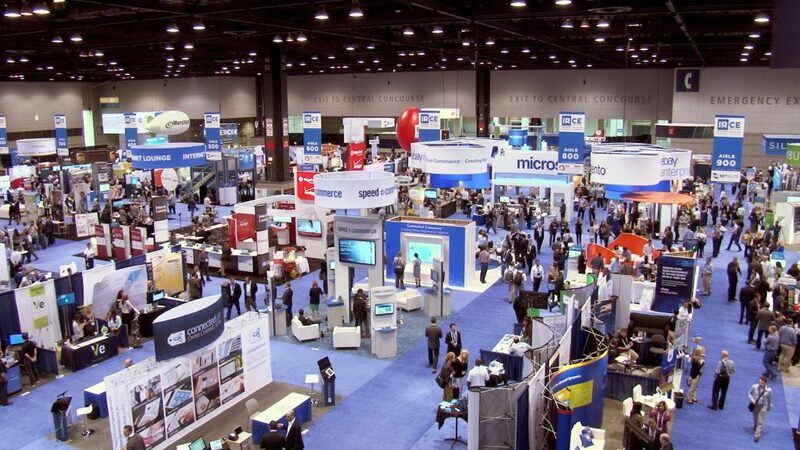 Event producers are free to focus on other aspects of trade show planning. Made By WiFi may be New York’s top temporary trade show Internet rental provider, but we can work our magic at any event space, in any city. Whether your trade show venue is indoors, outdoors, hybrid, spans multiple floors or is located in a network dead zone, our services are 100% deliverable. We love a challenge, it keeps the job exciting. We’ve invested thousand of dollars in high-end, enterprise-grade wireless equipment so that you don’t have to. Our engineers are fully certified to configure and troubleshoot any wireless network. You came to our website for a reason. May we guess? The last event WiFi provider you hired failed to deliver on their promises. We’ve seen Internet service providers blacklisted for demonstrating one-sided objectives and a lack of commitment to delivery. We understand the event industry and the non-existent margins of error we face with every project. We won’t let you down. Made By WiFi provides temporary Internet services and WiFi solutions for trade shows, corporate affairs, conferences, hackathons and other events in New York and nationwide. We’ve worked with the biggest companies in the world and we want to work with you next. To learn more about our services and receive a risk-free, no obligation quote, contact us any time.